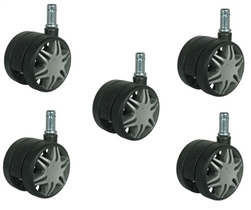 BuyCasters 5 pack of Mag Style Nylon Twin Wheel Office Chair Casters with Friction / Grip Ring mount, (7/16" Diameter X 7/8"). 60mm (2.36"). Flat Black with gray spokes. 125lb Capacity each. 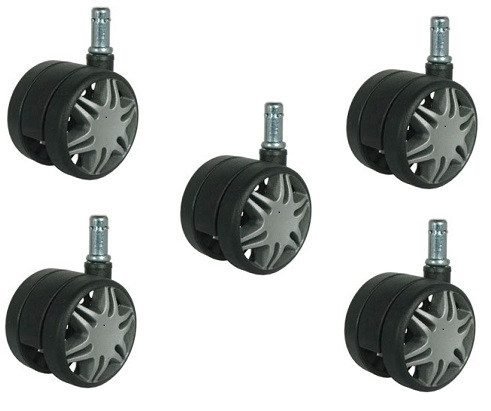 OEM replacement option for Furniture and Chair Casters. Most office chairs use five casters and wheels, save money by buying this package deal. Free Shipping!